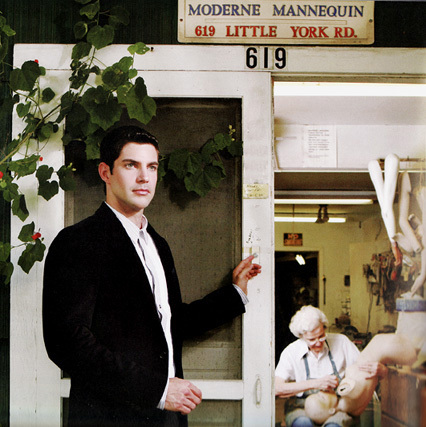 We specialize in the sale, rental and repair of mannequins. We are currently celebrating our 71st year in business. The types of mannequins we carry are: Hindsgaul, Rootstein, Cranston, Filoso, Nanasi, Decter, Greneker, Mondo, Pucci, Patina, Nissen and Silvestri. Follow the links on the left to to see some of our inventory. 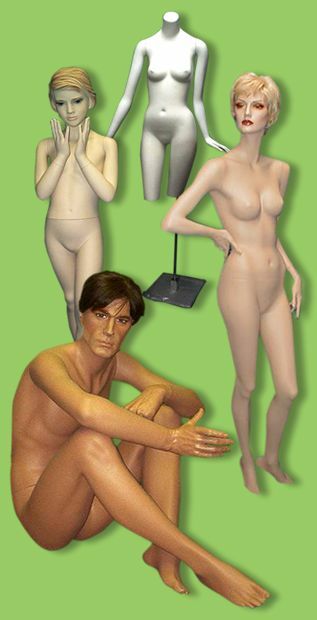 Most of our mannequins are made of fiberglass and are very repairable. They will last for many years with the proper care, unlike the "no-name" brands that are made of a hard plastic. We do not offer a catalog because our inventory changes daily. Be sure to check our web site regularly to see our new posted inventory. Or fill in the update information at the bottom of this page and we will notify you of new posted items. Our mannequins were featured in a music video by Dremnt the End, Produced by Jeff Ray ... formerly PaperTank Productions. If you are looking for a specific series or number of mannequin, please feel free to call or e-mail and we will check our warehouse. We have men, women and children mannequins in all shapes and sizes. We carry abstracts as well as realistic. Our prices include a custom made glass or metal base. We also have other interesting items in our forms and accessories page. Mannequins can be purchased with your Visa or Mastercard by e-mail or we can take your information over the phone. We will also accept Paypal, personal and company checks, however, checks must clear the bank before we will ship.